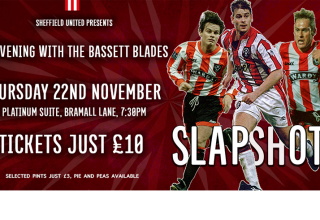 Sheffield United striker and captain Billy Sharp has been nominated for the PFA Fans Player of The Month award for October. With a hat-trick and man of the match performance against Wigan Athletic and a brace to end Blackburn Rovers’ impressive home form, Sharp took his tally to 11 for the season so far, 10 in league games. 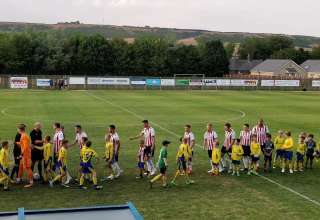 With a league record of approximately 1 goal per 100 minutes played, Sharp is behind only Brentford’s Neal Maupay in the Championship scoring charts. 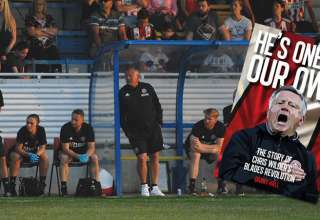 Sharp will be hoping to get the opportunity to add to his tally later this week, with the Blades taking on Sheffield Wednesday in the Steel City Derby on Friday night – a fixture that has evaded him since a 30 minute substitute appearance in 2009. 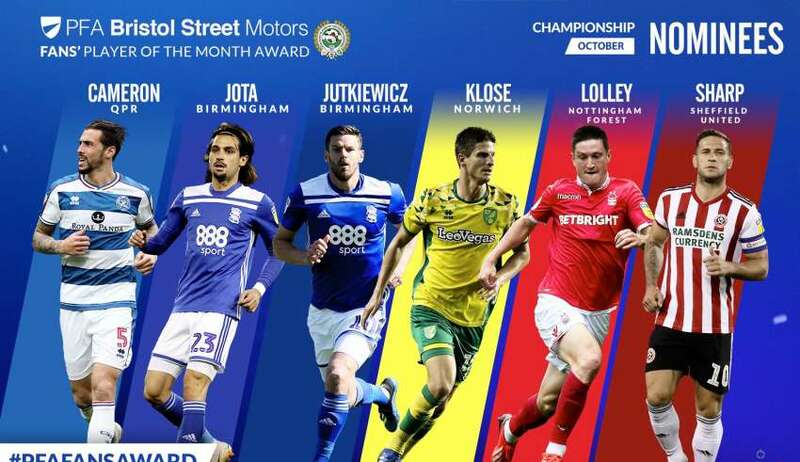 Birmingham duo Lukas Jutkiewicz and Jota are also nominated, along with Joe Lolley of Nottingham Forest, Timm Klose of Norwich City and Geoff Cameron of QPR. Supporters are encouraged to vote for their choice for Player of the Month using the widget below, voting is open until 8am on Wednesday 7th November.